This year's contest was an overwhelming success with more than 200 entries! With so many outstanding photographs to judge, choosing the winners in each of the six categories was quite a challenge. We are pleased to present this year's winners to you. All winning photographs will be on display in the Mexico Beach Welcome Center throughout 2015. 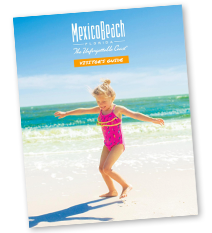 We wish to thank all of the photographers who entered this year and we hope you will continue to capture Mexico Beach through the lens and enter again in 2015!